Maybank Kim Eng, the investment bank in the Malayan Banking Bhd group, sees a greater potential for growth in gross gaming revenue (GGR) among Singapore’s VIP gamblers than it does for the same market segment in Macau. Maybank says Macau’s revised smoking law and an easing economy in mainland China will combine to create a “weak outlook” for GGR in Macau’s VIP market segment. In a note from analyst Yin Shao Yang published on Monday, Maybank said it was maintaining its forecast that annual VIP GGR in Singapore will grow by 5 percent this year and 5 percent in 2020. “Given the historical relationship between Macau VIP GGR and Singapore VIP volume, investors are understandably concerned that the Singapore VIP market will decelerate as well,” the Maybank note said. However, the investment bank added it was “more sanguine and… not as pessimistic” as those brokerages that see Singapore’s VIP GGR also declining this year. The note said Marina Bay Sands (pictured in a file photo) and Resorts World Sentosa – Singapore’s only two casino resorts, owned by Las Vegas Sands Corp and Genting Singapore Ltd, respectively – were not subject to a smoking ban and have the capacity to relax their “tight credit policies to VIPs”. Up to December 31, VIP rooms were the only places in Macau casinos that had still been allowing smoking at the gaming table. Tableside smoking ended when new rules on smoking in casinos in Macau came into effect on January 1. A December report on the casino sector outlook for Macau from brokerage Sanford C. Bernstein Ltd said the new smoking rules were “likely a headwind for the industry”. Maybank also considered the impact of changes to the infrastructure at both Singapore properties. 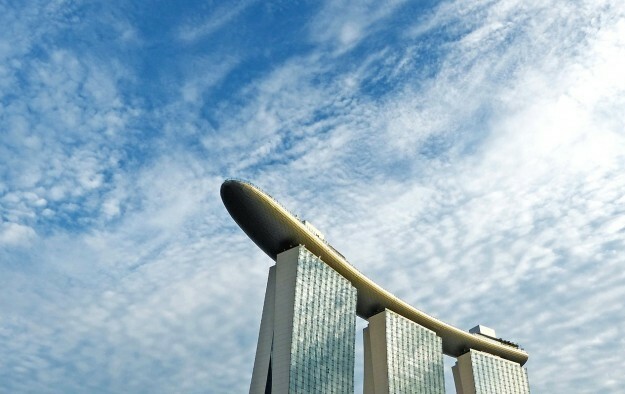 “Las Vegas Sands has repeatedly stated that it wishes to grow Marina Bay Sands hotel room inventory from 2,561 currently. Genting Singapore has also repeatedly stated that it intends to invest SGD1 billion [US$739.4 million] over three to four years to rejuvenate and expand Resorts World Sentosa,” the note said.